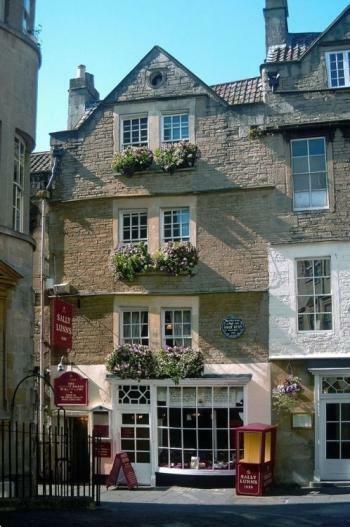 Welcome Neil to Tea and Talk at Sally Lunn’s. You have the honour of being my first male interviewee. Thank you, I am flattered. Can I start our chat by asking you a little about yourself? Yes, by all means. I’m not sure I ever sat down and consciously thought, ‘I want to be an author.’ I don’t know if many writers do. I think writers just write. It’s a compulsion. For me it began with an idea about a subject in which I have always been deeply fascinated – the prospect of life after death. Why people choose to believe and why they don’t. From there, I found my subject: Borley Rectory – the most haunted house in England. Can you tell us a little about your debut novel Ghost Hunters? What influenced you to write this? The Borley Rectory haunting has it all. “The Most Haunted House in England?” A house so haunted that objects frequently fly through the air unbidden, and locals avoid the grounds for fear of facing the spectral nun that walks there… It’s the perfect ghost story: a cast of complex, competing characters and a dark, terrifying legend. And amazingly, no one has ever dramatised the tale! I wanted to change that. Harry Price was the nation’s first paranormal investigator, a professional ghost hunter. He dedicated his life to investigating unusual phenomena, and lengthy investigation of Borley rectory seemed a logical way in to the story. I soon realised that he, perhaps more than Borley, was the most interesting aspect of the case: the more I discovered about Price’s private life and his curious, contradictory beliefs, which oscillated between scepticism and belief, the more I was fascinated by this historical character and its dramatic potential. I wanted to know what set Price on his path of investigation into the unknown? And, perhaps more intriguingly, why did other intelligent people – many of them academics and scientists – follow him on that path? The problem was the many phenomena reported at Borley down the years: so many fantastic events, spanning a period in excess of twenty years, with no connecting thread… I struggled, at first, to see how any coherent and consistent tale could be woven around the subject. But I did my research and discovered that Harry Price had employed a young secretary with whom he was very close. That was it! The inspiration for my narrator, Sarah Grey. In The Ghost Hunters, we see the investigation of Borley Rectory through her eyes, as it might have happened. How long did it take and what sort of research was involved? A visit to the Harry Price Library of Magical Literature at Senate House, Bloomsbury, became a source of inspiration for me to dig deeper into the history of the Borley Rectory. In fact, this is where the novel begins, in 1977, and it is from here that readers enter into the pasT. The characters at Borley, the people who interacted with Harry Price at his Laboratory were part of a grieving nation, a nation that needed something to believe in after the atrocities of the First World War. It was an era choked with grief and longing for hope. I came to the material gradually, over the course of many months, reading all of Price’s personal letters, and articles written by people who worked with him. Exhausting! It took me three to four years of research, four drafts and a rewriting of the last chapter twelve times to come up with the final result. I hope it was worth it. Are you planning to stay with ghosts and ghost hunters or will your next book be different? I’m halfway through writing the first draft of my second novel now, actually. I can’t say what it’s about yet, but it is again based on a true story and if you read The Ghost Hunters, there are more than a few clues about what the second novel will deal with. Ghosts? No. But dark forces that threaten the innocence of youth? Very much so. This time I am looking at what happens to a remote community when it is threatened with the unknown. Have you any particular authors who have influenced you? Oh, so many! But M.R. James and Lovecraft come top of the list. Lovecraft in particular is a master of the genre, whose Shadow Over Insmouth remains, in my view, one of the best stories ever written. The story describes a young man’s discovery of a strange race, that dwell in a remote coastal town. When not writing what do you like to read? I love reading philosophy and books on the unexplained. I’m a sucker for newspapers, too, particularly the property sections in the Sundays, where I marvel at the houses I’d love to own but will never afford! If you were inviting four famous people to dinner, who would they be and why would you invite them? The Secretary of State for Defence, so I could quiz him about the Government’s rather dubious policy on UFO sightings; Russell T Davis, because I think he is one of the most influential writers of our generation; the actor Tom Baker, because he was the best Dr Who; And if he was still alive, Harry Price, so I could watch his face as I present him with the book he inspired! If you were marooned on a desert island name three essential things you would want to have with you. I couldn’t be without my I-pad, to download books. The very best of Andrew Lloyd Webber. And a nesspresso coffee machine. I LOVE coffee. Many thanks Neil and all good wishes for your launch. For more information about Neil and his work check out the social networking links below. Always good to hear about other authors. This book sounds right up my street, as am seriously into ghosts and the paranormal and always seeking an explanation. Definitely a must read. Great interview. Thanks, Jo for bringing Neil to my attention.